Over the last couple of years, I've been forced to re-evaluate a lot of what this book presented. I want to retract some of what I said in this review and in the comments. For more information on what caused this change of heart, please see my review of The Problem of Slavery in Christian America. Every so often I try to review a solid non-fiction book here on Vintage Novels. Growing up, I never liked the idea of non-fiction much. It always seemed dry and uncompelling to me. The real drama and poetry, in my experience, lay in fiction. But then I realised that the difference was not between exciting fiction and dull non-fiction. The difference was between writing that showed the providential love of God, as against writing that demonstrated a barren and meaningless conception of existence, a view of history in which events occur chaotically and pointlessly. In other words, the right kind of non-fiction is written from a worldview that sees history primarily as a story woven by a kind and benevolent Creator. See it from this angle, find the right kind of history book, and you'll discover that no story is as breathless, as heart-wrenching, or as glorious as the story of the world. John J Dwyer's magnumopus, a comprehensive history of the American War Between the States, is a worthy rendition of one chapter of this story. Part 1 of The War Between the States, "Causes of War", covers the 70 years or so leading up to the conflict, including chapters on topics such as nationalism, secession, the tariffs, the nullification controversies, slavery, and worldview--all the many issues over which North and South clashed before war finally broke out in 1861. This was, perhaps, the most valuable section of the book, since it works hard to set the record straight on a few myths that have sprung up to surround the war--for example, the idea that slavery was the primary issue, or that Americans of the time were either rabidly pro-slavery or rabidly abolitionist. Part 1 also features a number of contributions from writers such as Douglas Wilson, Steve Wilkins, and George Grant (those familiar with these men's writing style will be able to spot their contributions!) and includes what I take to be a summary of Wilson's highly controversial book Black & Tan (which nevertheless has garnered acclaim from prominent historians). Part 2, "The War", is a sweeping account of the whole conflict, year by year, on every front. Dwyer does an excellent job of giving us an eagle's-eye view of troop movements, major battles, and strategies, without getting bogged down into minor details. Part 3, "Post-War and Reconstruction", deals with the bitter peace that followed the war, with interesting details on the Ku Klux Klan, Reconstruction's shattering impact on racial relations, and the presidency of Ulysses S Grant. On top of this, the whole book comes packed with maps, beautiful paintings by John Paul Strain, lyrics to popular songs of the period, and biographical features on over eighty prominent men and women. The will of majorities must become the supreme law, if the voice of the people is to be regarded as the voice of God; if they are, in fact, the only God whom rulers are bound to obey . . . We must contemplate people and rulers as alike subject to the authority of God . . . If then, the State is an ordinance of God, it should acknowledge the fact . . . God is the ruler among the nations; and the people who refuse Him their allegiance shall be broken with a rod of iron, or dashed in pieces like a potter's vessel. Our republic will perish like the Pagan republics of Greece and Rome, unless we baptize it into the name of Christ. - James Thornwell, on behalf of the Southern Presbyterian church, to the Confederate Congress. This book was an unusual pleasure to read. Author and editor John J Dwyer has done a magnificent job; his love for his topic makes the history come to life. There's also the fact that he's worked closely with one of my favourite historians, George Grant, and includes the research of another, Otto Scott. This is a book I can feel right at home in. Take that as a recommendation, or not, as you will! But perhaps the thing I loved most about this book was the extraordinary nature of the people and events themselves. I might as well admit at this point, that the book will not exactly foster in you a deep admiration of the North or of Lincoln, unless a hesitant respect for plotting deviance counts (fun fact: the Maryland state song until 2001 included the line "the despot's heel is on thy shore" and called upon its citizens to "avenge the patriotic gore that flecked the streets of Baltimore", in reference to the troops Lincoln sent to fling Maryland legislators into prison to prevent them joining the Confederacy). In stark contrast stands the chivalry and ideals of the gentlemen of Virginia. There was Stonewall Jackson of the brilliant Shenandoah campaign, who remained unnaturally fearless in the face of enemy fire because of his faith in God's ability to protect him for as long as he was needed on the earth. There was Robert E Lee, who broke all the rules and won battle after battle with forces a fraction of the size of his enemy's. There was RL Dabney, the staunch preacher and theologian who became Jackson's chief of staff and one of the leaders of revival in the Southern camps. There was Jeb Stuart and his cavalry, Stand Watie, the Indian general who was the last to surrender, and yes, there were a bunch of Northerners too (the book was more even-handed than this review will be). To be more serious, I've occasionally heard it said in the dark and quirky corners of the 'net: "The South will rise again!" My polite "Ah, yes?" response has been replaced with a "God forbid." For one thing, there are no giants like Lee, Jackson, and Dabney left; most likely our culture has lost the ability to produce such men. For another, as John J Dwyer points out, it's debatable if the War should have been fought at all. Its cost was horrific, not just in loss of life but also in the loss of innocence and virtue that accompanied four brutal years of war. The armies of the North pioneered total war: as General Philip Sheridan responded to critics during his brutal treatment of Plains Indians in 1873, "During the war did one hesitate to attack a village or town occupied by the enemy because women or children were within its limits? Did we cease to throw shells at Vicksburg or Atlanta because women or children were there?" The South did: on their march through Maryland and Pennsylvania to Gettysburg, Lee declared "I cannot hope that Heaven will prosper our cause when we are violating its laws. I shall, therefore, carry on the war in Pennsylvania without offending the sanctions of a high civilization and of Christianity." He enforced these ideals strictly. However, according to Dwyer, the sheer brutality of the war had, by the end of it, undermined these Christian ideals even among the people of the South. After reading this book, I had to wonder when the cost of war can ever be justified. 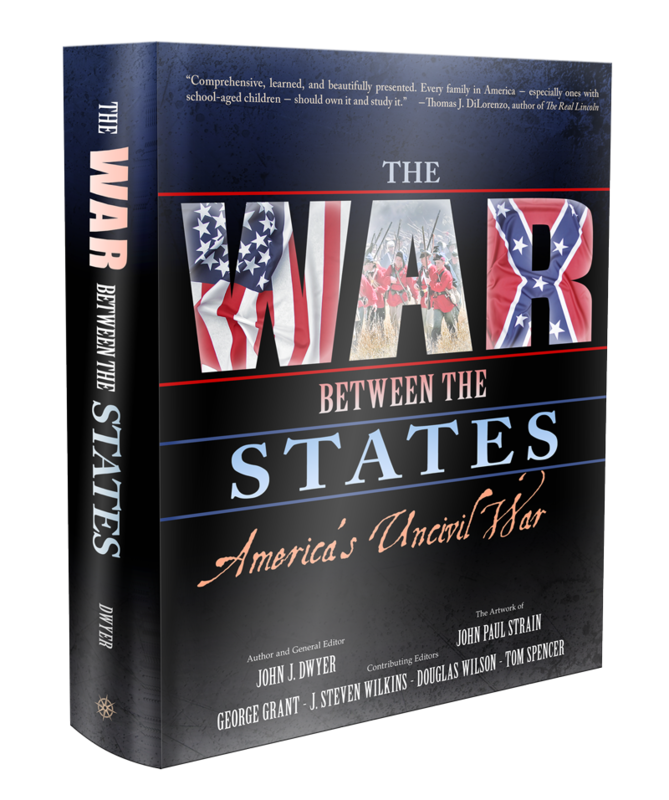 The War Between the States: America's Uncivil War is an excellent tool for understanding not just the bloody, horrifying, spectacular years between 1861 and 1865, but also the whole trajectory of modernism in the last century. Gripping, gut-wrenching, and comprehensive, I highly recommend it. Find The War Between the States on Amazon or the Western Conservatory of Arts and Sciences. I have also read John J Dwyer's fictionalised biography of Thomas "Stonewall" Jackson, titled Stonewall. Although plagued by poor editing, it was a compelling and vivid picture of an extraordinary man living during an extraordinary time. I'm looking forward to reading the sequel, Robert E Lee, sometime soon. First, a quick public service announcement. Y'all know that Plenilune is available for purchase on Kindle right now and in paperback in a few days, right? The book I've been raving about since I got an advance review copy? Excellent. On to the review. If this is so--if you haven't a clue about Pyramus and Thisbe, but want to know what all the fuss in A Midsummer Night's Dream was about, or if ND Wilson's Arachne has you stumped, or if you have questions about anyone from Baucis and Philemon to Vertumnus and Pomona--then Bulfinch's Mythology is your one-stop handy reference book. Thomas Bulfinch's magnumopus is a nigh-comprehensive summary of the myths and legends of Western Civ. Part 1, The Age of Fable, is a summary of Greek and Roman myth. Part 2, The Age of Chivalry, covers the Arthurian legends and the Mabinogion. Part 3, The Legends of Charlemagne, is a neat summary of Boiardo's Orlando Innamorato and Ariosto's Orlando Furioso. Originally written in the 1850s to familiarise the ordinary reader with basic classical allusions, the Mythology is a fun mix of stories, commentary, and quotations from great English authors (Dryden, Milton, and Tennyson all make appearances). There are snippets of poetry, and selections from old English folk ballads. It's all very readable and very charming. Another of the things I really appreciate about Bulfinch is the fact that despite the comprehensive nature of his book, he manages to keep things pretty clean. This is a great book to let children loose in. The downside to this, of course, is that when I went to read the originals as an adult--particularly when I read the Orlando Furioso--I was quite unexpectedly struck by all the shenanigans, which would have made Shakespeare blush. And yet, let me tell you the main reason why you should have this book on your shelf. Part 3, The Legends of Charlemagne, is fantastic. It condenses and retells the wildly weaving story begun by Boiardo and finished by Ariosto, without including any of the aforesaid shenanigans. This is a good thing because the Matter of France is terrific fun. When I first stumbled across Part 3 of Bulfinch, I was absolutely gripped. Bulfinch's Mythology is an excellent reference book, fun to dip into on the long winter evenings, featuring a rare and valuable condensation of the Orlando Furioso. I recommend it. Find Bulfinch's Mythology on Amazon, The Book Depository, Librivox, or Project Gutenberg. There is an ancient story, a sort of tributary branch to the great story told by Homer in The Iliad and The Odyssey, which suggests that the famous Helen never went to Troy at all. 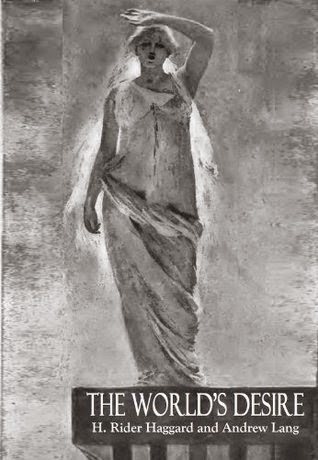 As the playwright Euripides told it, Paris brought Helen to Egypt on his way to Troy, but the gods fashioned an eidolon or image of Helen which Paris, being deceived, took to Troy while the true Helen remained in Egypt. According to Herodotus, who claimed to have gone to Egypt to interview the priests, there was no eidolon; instead the King of Egypt, horrified by the crime committed by Paris, sent him packing without her and maintained Helen as the goddess Aphrodite in Egypt until after the Trojan War, when Helen's husband Menelaus--who refused to believe that the Trojans did not have his wife in their city--returned to Egypt to claim her. I heard this version of the story once long ago from a book which I have forgotten. Perhaps it was Herodotus himself. As a child, I thought it was an extremely happy twist on the story--hooray, Helen never ran off with that nasty Paris and she got to live happily ever after with Menelaus. Reacquainting myself with the roots of the myth for this review, I see an even more striking tragedy in the story: the Trojan War, all ten years of it, and the sack of Troy, for a phantom--or even worse, for something that was never there at all. At any rate, it's a fascinating twist on the familiar story, and when I heard--years ago--that H Rider Haggard, the author of such thrilling and preposterous adventure stories as Nada the Lily, Heart of the World, She and King Solomon's Mines had collaborated with no less a luminary than Andrew Lang--the preeminent Victorian translator of Homer and the collector of many fairy tales, among other things--on The World's Desire, a novel based on the Helen-in-Egypt myth, I knew I just had to find and read it someday. This, thanks to Project Gutenberg and my trusty e-reader, I have now done. We find the Wanderer returning to his island home from a second, un-sung journey. This time, instead of clamouring suitors and faithful old retainers, Odysseus is greeted by death and destruction: a pestilence has taken from him his wife, his son, and all his people. Grieving in the temple of Aphrodite, he is given a vision of Helen, whom he loved for an hour in their youth. 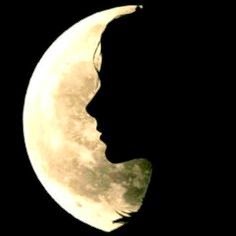 According to the goddess, the Wanderer will soon set out on another journey to find the ageless Helen and the love of his youth, whom he will find if he trusts to the sign of the star, and not to that of the snake. Whereupon follows a tale of scheming villainesses, epic battles, purple prose, and high adventure. According to Wikipedia, the collaboration between Haggard and Lang on this novel--the men had been friends for years--involved Lang writing all of the first four chapters and then advising, and making certain revisions, on the rest of the story. And to be perfectly honest, Lang's chapters were by far the best. I thought it was rather bad form for him to kill off poor Penelope to make way for an epic romance between Odysseus and Helen (had Helen not enough attention?--it was always one of the nicer things about the Odyssey that its heroine was the quiet and domestic Penelope), but Lang was a more restrained, more direct writer than Haggard and was familiar enough with Homer's originals to produce a wonderful suggestion of the original flavour. The return of the Wanderer to his abandoned kingdom, and the fight on the Sidonian ship, have a crisp vividness that Haggard's more melodramatic writing lacks. Not that Haggard is anyone to patronise, but a lot of his usual offences do crop up. There is a powerful and passionate villainess who effortlessly outshines the meek heroine (at his best, Haggard combined the two characters into one, as in Heart of the World). The theme of the book, drawing as it does upon both the Christian myth of Eden and some Eastern mysticism about reincarnation, is the usual brand of Haggard romanticism. And the ending will not satisfy those who prefer happily-ever-afters (romances written by men so rarely do). Otherwise, the book is stocked to the rafters with melodrama. The closing battle is perfectly ripping. And Haggard almost gets away with using the Exodus of the children of Israel, with attendant plagues, as little more than window-dressing, almost a subplot. In the end I was a little disappointed by The World's Desire. If I had to summarise the thing, I would call it a second-rate Haggard novel with some excellent contributions from Lang. It wasn't bad, but it was nothing I hadn't seen already. There is a rather obscure volume of unfinished and short stories by CS Lewis, sold under the title of The Dark Tower and Other Stories. The last of these stories, told from Menelaus's point of view, opens in the Trojan Horse on the night of the sack of Troy as the king of Sparta meditates on just what, if anything, he would do with his erring wife once she is recovered. He's horrified to discover that Helen has, in her ten years in Troy, mellowed into a plain middle-aged woman. But then in Egypt on the way home, he is confronted with an unspoiled, unaging Helen whom the King of Egypt swears is the real Helen, the original. There the fragment ends... I go back and read it every now and then. I still hope that when I read the New Jerusalem, Lewis will have finished it. Unfortunately, The World's Desire was not that book. But ah, it was pretty fun. Find The World's Desire on Amazon, the Book Depository, or Project Gutenberg. John Buchan, for those of you who are new here, is one of my favourite authors. 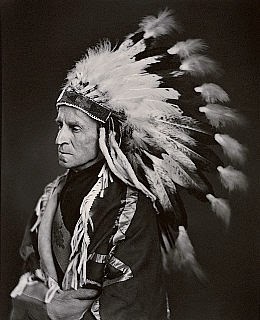 Among other things, he came up with a plan to avert World War II (Neville Chamberlain didn't listen), he became an honorary Indian chief (see photo, below) and he almost singlehandedly invented the modern spy thriller while working in intelligence during World War I. 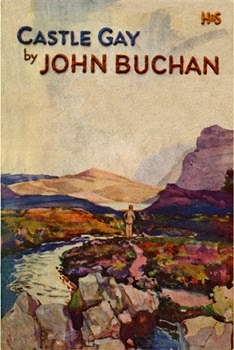 You can find reviews of many other Buchan novels here on Vintage Novels under the John Buchan tag, and I do wholeheartedly recommend them to you. My latest Buchan re-read is Castle Gay, the second in the three Dickson McCunn novels which began with Huntingtower. Six years after the end of Huntingtower, the Gorbals Die-Hards--the gang of street boys adopted by the hobbit-like Dickson at the end of the last book--have grown up to make their way in the world. When Jaikie, on holiday from Cambridge after a hard-fought rugby battle with the Australians, and Dougal, with a pocket full of press clippings and a head full of radical political notions, set out together on a walking holiday in the Scottish countryside, the last thing they expect to stumble upon is a kidnapped newpaper magnate (who also happens to be Dougal's boss) and a sinister Eastern European conspiracy. Dougal and Jaikie join forces with a snooping journalist, an aristocratic widow, the girl next door, an exiled prince, two beagles, a terrier, and everyone's favourite grocer, Dickson McCunn, to foil the baddies and save the newspaper magnate's reputation. And in the process, they may just end up saving his soul. Even when he's not at the top of his form--and much as I love Buchan, I have to admit that Castle Gay is not the top of his form--Buchan is good fun to read. Castle Gay has a fitful and meandering plot, a good deal of dry humour, character sketches of the Trollopian style, and lots of gentle satire. Like all the Dickson McCunn books, it starts out with a walking-holiday and goes on to feature a mysterious house at the centre of international intrigue, complete with much praise of the merits of conventional middle-class Christendom against the initially well-meaning and quirky but ultimately sinister spectre of modernism and Marxism. How does this play out in Castle Gay? Not particularly coherently, but very charmingly. You have Thomas Carlyle Craw, the fussy and old-maidish media mogul whose Valley of Humiliation comes in the shape of an unsympathetic young man marching him across pretty bits of the Scottish countryside and lodging him in wayside hotels where the only fare seems to be ham and eggs--an updated version of Davie Balfour and Alan Breck's moss-trooping. It's hardly Dante's Inferno, but it's a privilege to follow Mr Craw through repentance unto a salvation that enables him to see the world more honestly, less as a background for himself and his own comfort, and more as a challenge to taken up. Then there's Mrs Brisbane-Brown, the repository of history and guardian of traditions, an aristocratic lady who expects the men--and even the women--around her to be dauntless and hardy and firm in their minds. The last guardian of a fading world, "Aunt Harriet" stands in stark contrast to the soft and spineless Mr Craw. In the pages of Castle Gay, Buchan issues a challenge not just to his own characters but to the rising middle-class modernism of his times. Have they the humility, the courage, the honour, and the just reverence for the legacy of Christendom, to justify their inheritance of wealth and power? If Dickson McCunn, the stout-hearted, hobbit-natured grocer is any indication, the answer is yes--with repentance. Find Castle Gay on Amazon, The Book Depository, or Project Gutenberg. 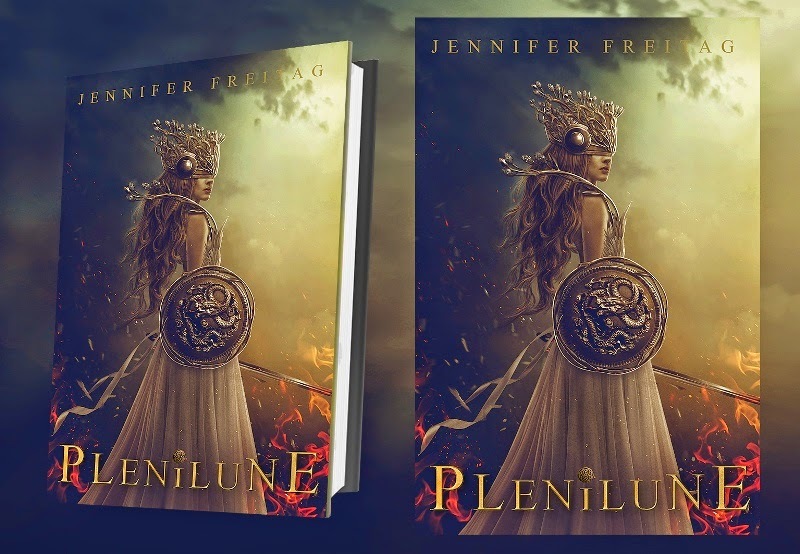 It's here--the smashing cover art for Jennifer Freitag's epic planetary fantasy Plenilune, coming October 20th. Having been lucky enough to read the book, I can tell you right now that it is every bit as epic as this cover, and then some. And today, I get to tell you just how much I loved this book. Trapped on a strange planet in a house of secrets by a man she can neither thwart nor escape, the three chief weapons of Margaret Coventry, pawn, are these: the memory of a burned book, a fox, and a map. In the great game for the fate of Plenilune, Margaret Coventry is about to become a queen. So, here’s the thing about recent books: I just don’t know how they will stand up to history. One can guess, of course, whether a book published last week contains a spark of the divine fire or not. But whether a book is really a classic is something that can only be decided by humanity as a whole. So I can’t tell you whether Jennifer Freitag’s Plenilune is a great book. All I can tell you is that I liked it better than any other book I can remember having read for quite a number of years, that there were passages where I more or less forgot to breathe, and that one day I hope to be able to create something like the literary fireworks Jennifer Freitag sets off in every other line of her writing. Plenilune isn’t perfect, of course. I can see faults, and there are times when I wonder if they’re glaring faults, and I’m sure there are people out there who, unlike me, will find those faults a little too much. In response, all I can say (somewhat helplessly) is that I am equally certain of there being people like me, for whom Plenilune will be one long experience of delight and revels. And so: the first thing that will strike you about Plenilune is the writing, lush and dense and full of ornament. “The first blaze of rage had died out into a low firedrake smoulder.” “She had the feeling of being disconnected from herself by a sharp blade of terror.” “Candid-coloured skirts.” “The gown in the cold of her room, flood-lit in firelight and the backlash of jewel-glitter.” It’s glorious, and it’s like that all the way through. The second thing might be the suspense. In the new world in which she finds herself, Margaret Coventry observes every detail of action and interaction among the gracious and glittering lords and ladies of Plenilune with the hyper-awareness of a very reserved personality falling in love, for the first time, with a whole new land and people. When I interviewed Jennifer Freitag on her debut novel The Shadow Things, she told me that from her favourite authors she had learned “the poignancy of and the emotional importance in detail.” There is a lot of detail in Plenilune, all of it positively staggering under the weight of emotional importance. The melodrama, for want of a better word, never lets up. Why did all the silences of this place sound like the silence before a scream? Why did the stillness of this house feel like the stillness before a storm? So I would caution you not to make the mistake I made (plebeian that I am), and gulp down Plenilune in a handful of sittings. I felt greedy and surfeited, as though scarfing a ten-pound fruitcake all at once, and yet Jennifer has such an amazing gift with words that I could not bring myself to wish the novel pruned by a paragraph. In other ways, Plenilune surprised me. I’m trying not to give away much of the plot here, but there was a goodish stretch at the beginning of the novel when I suspected that the book was shaping up in the image of a Mary Stewart or a Charlotte Bronte gothic romance novel: a lushly written antagonistic love affair between a plucky heroine and a darkly brooding man. I was wrong. How wrong I was. Jennifer Freitag takes the well-known Jane Eyre cast and subverts them up, down, left, right and inside-out. There was, actually, a moment further on in the plot when I paused to ask myself if I was, after all, simply reading the tale of a number of ridiculously attractive men all wrangling over the heroine’s affections. But if this is so, it must be admitted that this is the best ever story of a number of ridiculously attractive men wrangling over the heroine’s affections. And there is much more to the story: the epic war waged for the future of a planet, a woman finding her courage, necks getting snapped...Plenilune has everything. What did she want? she asked herself with a sudden unkind fierceness. To tidy the place like a nursery, free of any sharp objects that might hurt someone, to be sure of a happy outcome like a little girl reading a fairytale? But that was not what had at first repulsed her from these people, and what had eventually drawn her. With their thin skins, quick to take offence and to defend their bantam plumage, these were men who lived among danger and swords and blood and put a great price on honour. They had not turned their world into a nursery. They loved their world fiercely and their world loved them still more fiercely back. The “magic” of Plenilune (and, indeed, of any of my fantasies) is based off of an appreciation for the uniqueness, authority, and power of man. Due to the corruption of sin, most of us no longer exercise any kind of visible authority over creation, but within my novels some people still can. It may look like magic if interpreted in the modern fantasy sense, but it is in fact a exhibition of an innate authority borne by man... There is an element of demonic interaction (although I have permitted it to be very subtle) in Plenilune, but only because this is a thing which people sometimes do and I never for a moment suppose it to be a good thing, or even explore it in the novel. Another aspect that I loved about this book was the main character's characterisation as a feminine woman who learns to exercise authority in her own right. 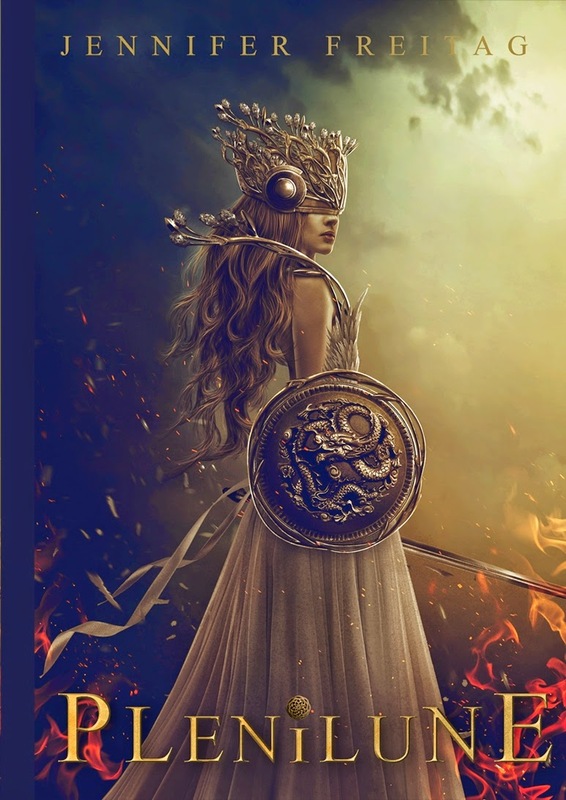 Eventually our heroine becomes a powerful and even a martial figure (as you can tell from the cover), without deserting her created feminine role. We live in a day when both Christians and heathens find it difficult to imagine a woman who is both feminine and capable, and I loved the fact that the more time the heroine spends in the company of strong and Christlike men, the more plucky and fierce and “terrible as an army with banners” she becomes. And, for fear of spoilers, I will stop there. Plenilune was wonderful: a love-letter to all the things for which we yearn: to goodness and grace, to mystery and melodrama, to battle and boldness, to legend and pain. As I sat down to polish off the final few chapters, one thing seemed fitting. I thoroughly and delightedly recommend Plenilune to everyone who loves melodramatic epic novels of love and war. BATTEN DOWN, PEOPLE. THE DE LA MARES ARE COMING. JENNIFER FREITAG lives with her husband in a house they call Clickitting, with their two cats Minnow and Aquila, and their own fox kit due to be born in early December. Jennifer writes in no particular genre because she never learned how, she is make of sparks like Boys of Blur, and if she could grasp the elements, she would bend them like lightning. Until then, she sets words on fire. Living with her must be excruciating. Since I've been making excited noises about it ever since I got the chance to read the book a few months ago, Plenilune should need little introduction at this point. The short story: this is a thrilling, lush, and romantic planetary fantasy from Jennifer Freitag, who if this book and her debut novel The Shadow Things is any indication, will be an author to watch. Jennifer, hello and a warm welcome back to Vintage Novels. As you know, I loved every minute of Plenilune. Where did the first seeds of the idea for this novel come from? The necessity for this story—I call it a necessity—came when I mentioned, perfectly innocently, at the end of my first draft of Adamantine, that the main character’s cousin (Margaret) seemed to have undergone a change in more or less a twelvemonth. 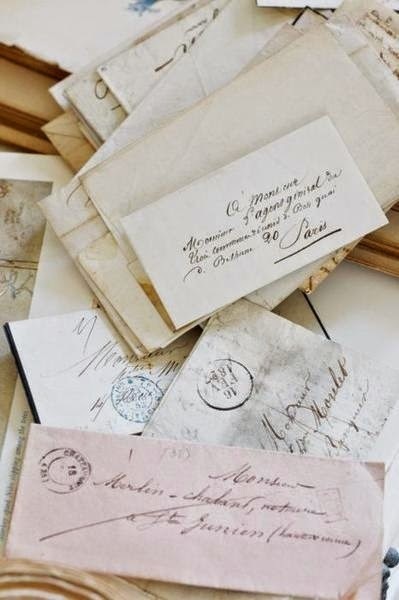 At the time it was a dumbish piece of writing: I suppose I didn’t want to resurrect the raw, haggard cousin which had occupied the early pages of Adamantine’s manuscript, I wanted someone easier to work with in the limited time that I had. But then I began to wonder: if something did happen to Margaret, what was it? Other than horses (because, let’s face it, I’m a girl), I have undergone an obsession over two things: Rome, and the English Civil War. While the atmosphere of Plenilune is decidedly Teutonic (for no reason I can determine, other than that it came that way), aspects of both these youthful obsessions definitely impacted my novel. You will come across casual cameos of both to varying degrees, and I am not sorry at all. If you want to know where the actual plot of Plenilune came from, I must warn you to always ask me at the outset of a novel: by the time I have finished writing a story, it has been so long and so much water has gone under the bridge, I cannot for the life of me remember the early seeds of my plots. It is a sad but recurring fact. I can’t tell you how I came up with Plenilune. I can simply no longer remember. I’ve noticed a few other advance readers comparing Plenilune to CS Lewis’s Cosmic Trilogy. Obviously both books are similar in genre (planetary fantasy) but are there other commonalities or influences going on here? Some touches of allegory, for instance? Unfortunately, people must relate Plenilune and Lewis’ Trilogy because there are so few planetary fantasies in popular circulation, but really they are very unlike in tone. Readers of Plenilune might find more connection between my novel and something like Lewis’ excellent non-fiction work The Discarded Image, which explores the medieval view of the universe. The Trilogy is not divorced from this hierarchy of the universe as posed by ancient and medieval philosophers, but it is definitely more of an accepted and influential concept among Plenilunar thought than it is in the Trilogy. Now for a writer-workshop question: When I interviewed you for The Shadow Things, you mentioned “the poignancy of and the emotional importance in detail”. This is something you do amazingly well in Plenilune. How does detail intensify emotional reactions? Can you give examples of what kind of detail you might specifically try to include in different scenes? That last part, working off the resonance, is where the poignancy comes in. You cannot take in the scope of terror or joy, it is simply too much to write down, and often it is simply more than we can contain when we experience them. So you hone in on one small aspect, something that holds a wealth of meaning, such as the child’s socks in the road. You take in that one small thing, but you are immediately hit with the importance of it, like waves of sound trembling through a gong—only, in this case, the hammer is a sequence and the sound is emotion. It would be hard to give examples of my use of this without picking up lines of text from my manuscripts and plopping them in here. I don’t invent these circumstances outside of their organic stories. The trick is somehow knowing which details, noticed in the moment by the character, will equally convey emotion and empathy to the reader. Sometimes these connections are intuitively obvious, sometimes you have to almost write the reader as much as you write the character. Note: (I apologize, this is a long answer.) Between Rosemary Sutcliff, who really taught me how to write, and the opening battle sequence in the film “Gladiator,” I learned the significance of practically arresting the movement of reality, of slowing it until things seem both numb and terribly clear. 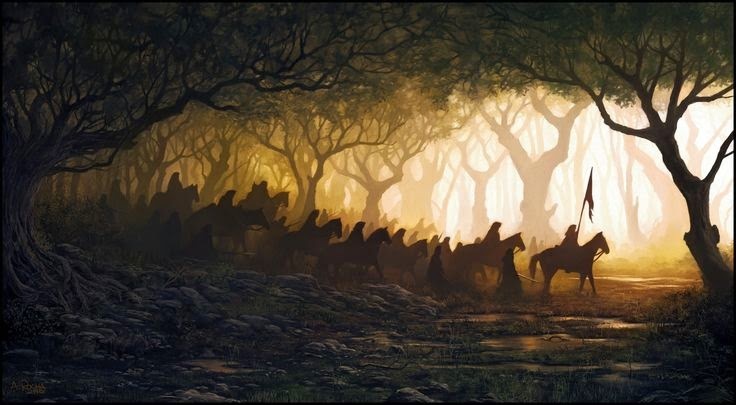 I have experienced this sort of thing, but I was taught it mentally and visually through Sutcliff’s literature and Ridley Scott’s cinematography. Besides the lush writing and thrilling melodrama, my favourite thing about Plenilune was Margaret and her character arc, from someone who is very powerless to someone who is “terrible as an army with banners”. It can be so hard to write a female character who is feminine without being useless, and courageous without being annoying. Can you share some thoughts on how to get this balance right? I think the balance lies in knowing what people are like. Margaret is someone who is struggling hard to be something more in life, something better, but discovers when push comes to shove that she hasn’t actually got the skills required to stand on her own. The desire remains, and through the mutual nurturing of necessity and the school of hard knocks, and actually seeing a strength worth emulating, she grows into her ideals. “Strong women” is also not an issue that ever needed arguing in Plenilune: it is tacitly understood that a great woman is one who is both powerful in genius and tender in temperament. There is also a need to recognize that these balances will look different in different women, and may not always rub others the right way. My “strong female character” of an upcoming Plenilunar installment can be so “terrible as an army with banners” that it can grate for other characters, and come across as almost more masculine than a woman ought to be, but she is a woman, and the reader is not left without a picture of the fragile side of the weaker vessel. Who was your favourite character? What did you like most about writing him or her? I think, in reading the book, my favourite character will probably be apparent. I won’t say outright who it is, so that nothing is spoiled for the reader, but I think it was the constant wheeling harmony of paradoxes in the character which I particularly loved. The sensation of motion, like rings around a planet, was never still, it was always humming, and there was always a sense of a thunderstorm building and waiting to let loose. The complete absence of any compartmentalization in the character’s brain allowed for a more cohesive picture of Plenilune and life than the main character and reader might have got from a more orthodox individual. The sense I got from Chesterton that “here we have battle and blazing eyes, and chance and honour and high surprise” was never lacking in this character, and I loved it. I loved (and thoroughly agreed with) your explanation for the use of magic in Plenilune, but I wasn’t expecting the friendly dragon. I guess I’m most accustomed to the idea of dragons being the enemy, as they often (but not exclusively, eg Ps 148:7) are in Scripture. What imagery did you draw upon for your dragon? I was fascinated by the existence of formal Christianity on Plenilune, plus classic Thulcandran works like the Divine Comedy, and that quote from Hugh Latimer. It all raises the question of how Earth has influenced Plenilune’s culture in the past. Are we going to see some of that backstory in future books, or can you give us some hints now? 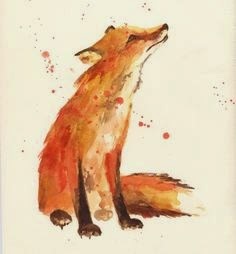 The fact that you recognized that quote by Latimer makes you ten times more awesome than before. Ours is a mutual appreciation. I was afraid someone would ask me this question—when Skander pulls The Tempest off a bookshelf, where did that come from?—because I have yet to discover the answer. My best answer for you is that, in light of the medieval structure of the universe, Earth, while not at the top, is still the most important world and everything looks toward it. How that communication is kept up, I don’t yet know, but I know that it vitally shapes the philosophical backdrop of Plenilune. My plans include at least nine other titles. My current work in progress, Talldogs, is the third installment in the series. Ethandune, which is number two, will not be coming out next year for certain, as a good deal of it needs expanding and tweaking (I wrote the first draft in two months! ), and I will probably not get to that until after I finish my Talldogs draft. I am sorry that it takes me so long to finish and turn these titles around, but you will thank me when the finished product is not too shabby by half! Thanks so much for talking to us, Jennifer! I, for one, loved Plenilune and can’t wait to discuss it with everyone else once it lands on October 20th. All the best! Thank you, Suzannah! It has been a pleasure wrestling with these fantastic questions. Jennifer Freitag blogs at The Penslayer. Plenilune releases on October 20th, but you can add it on Goodreads and read other advance reader reviews right now--which I urge you to do!